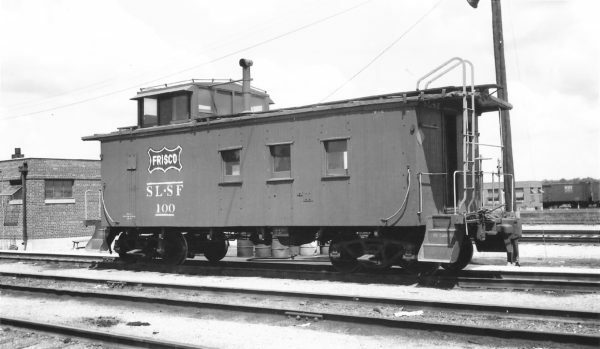 Wooden Caboose 100 at Springfield, Missouri on August 6, 1961 (Arthur B. Johnson). RS-1 100 (date and location unknown). 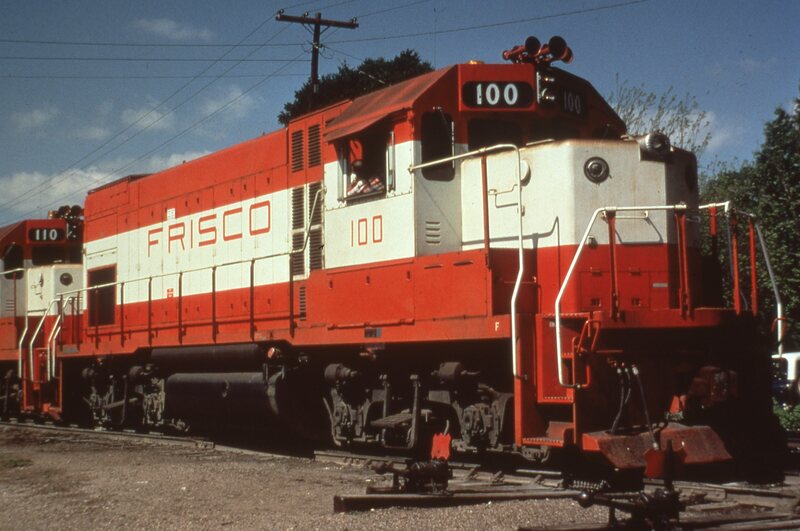 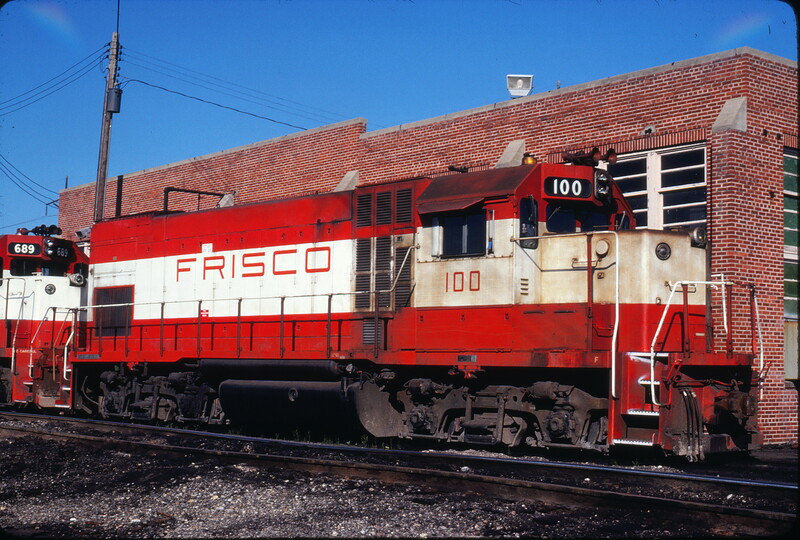 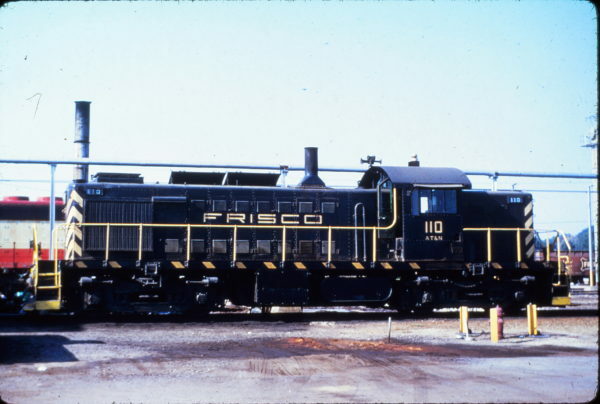 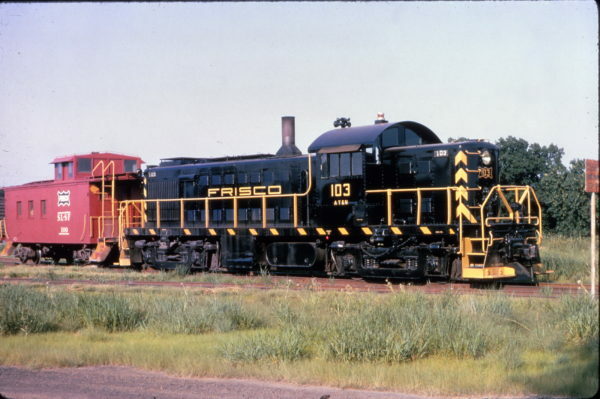 RS-1 103 and Caboose 100 on a caboose hop at Cherryvale, Kansas in July 1965 (Al Chione).